Cato Institute: This federalism question played out several years ago in the Supreme Court in the Raich case; Cato’s amicus brief is available here. Cato hosted Rob Kampia of the Marijuana Policy Project in March, and you can view the event here. Glenn Greenwald wrote an influential study for Cato on the successful decriminalization of drugs in Portugal. 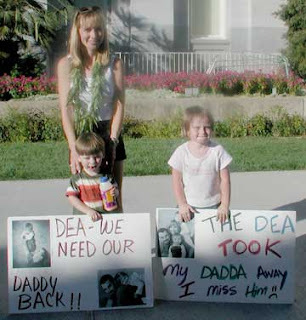 Americans For Safe Access: In June 2005, the U.S. Supreme Court ruled in Gonzales v. Raich that the government had the discretion to enforce federal marijuana laws even in medical marijuana states. While the Court did not invalidate the laws of California and 12 other states, all of them were under threat of interference by the federal government. Certain questions still remain. For instance, will U.S. Attorneys be instructed at some future point to allow defendants the use of medical evidence and state law compliance in federal criminal cases? Currently, the federal government is prosecuting more than two dozen medical marijuana cases in which defendants are prevented from using medical evidence.